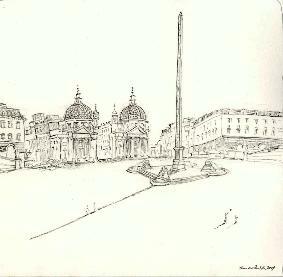 pen & ink 9 " x 4 "
sanguine pencil sketch 11" x 17"
pen & ink 6" x 10"
to my house to see that 'veduta'!" 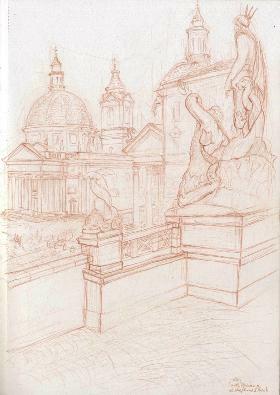 view images of that night. 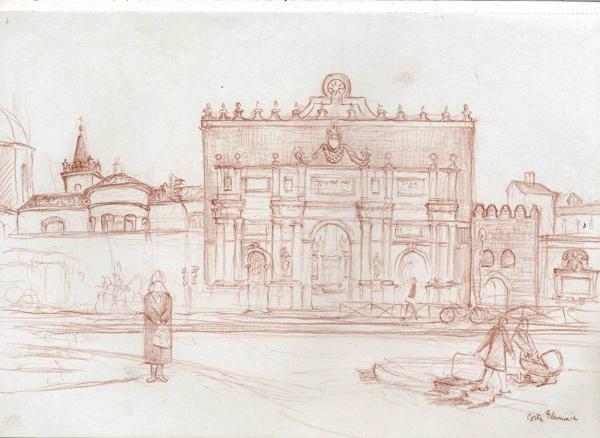 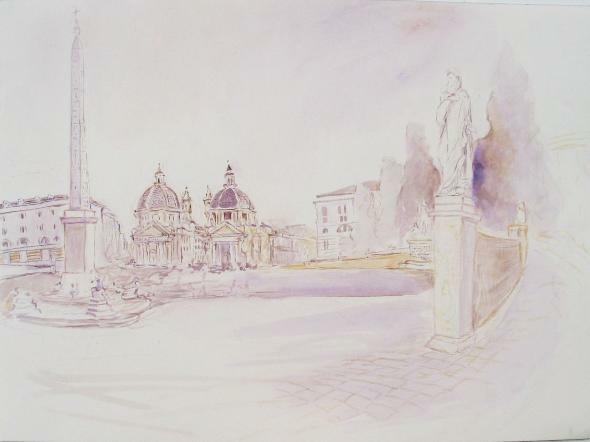 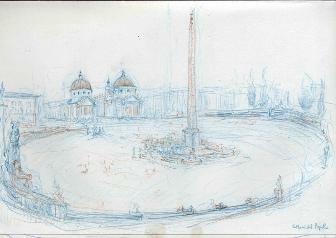 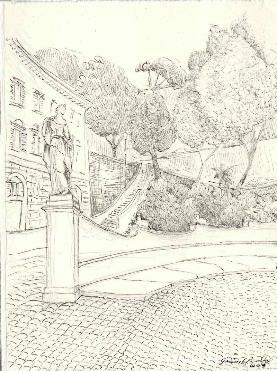 Below are other drawings I have made in and around the Piazza del Popolo.